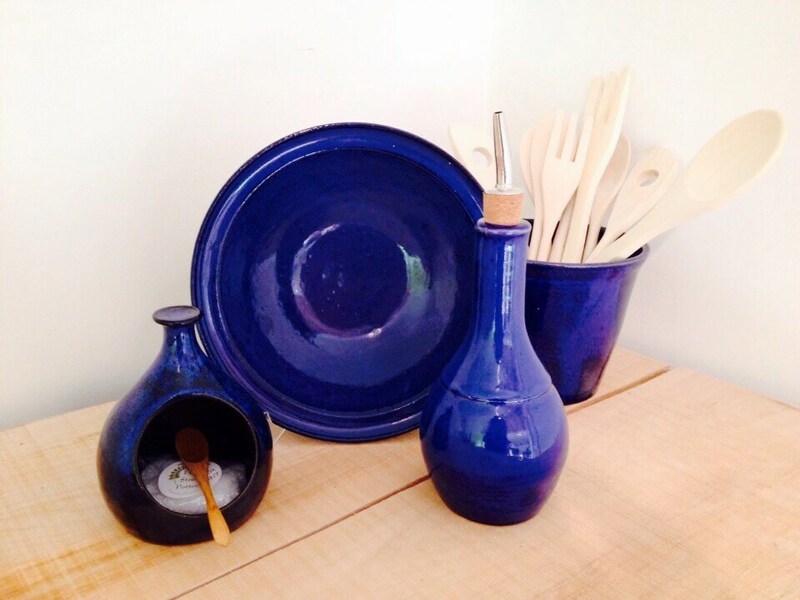 This open salt pot is a beautiful and functional way to display and use salts in your kitchen. 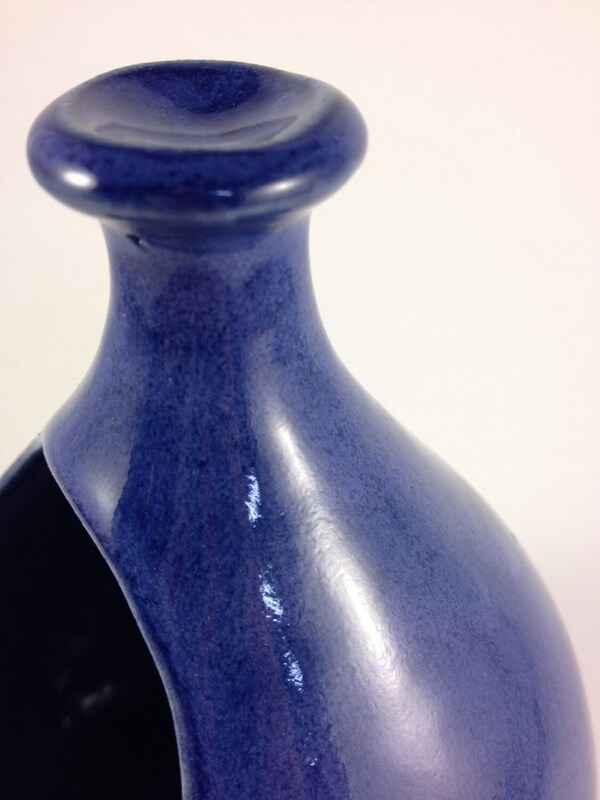 This glossy, rich cobalt blue salt pot measures 4 inches across, and 5.5 inches tall. 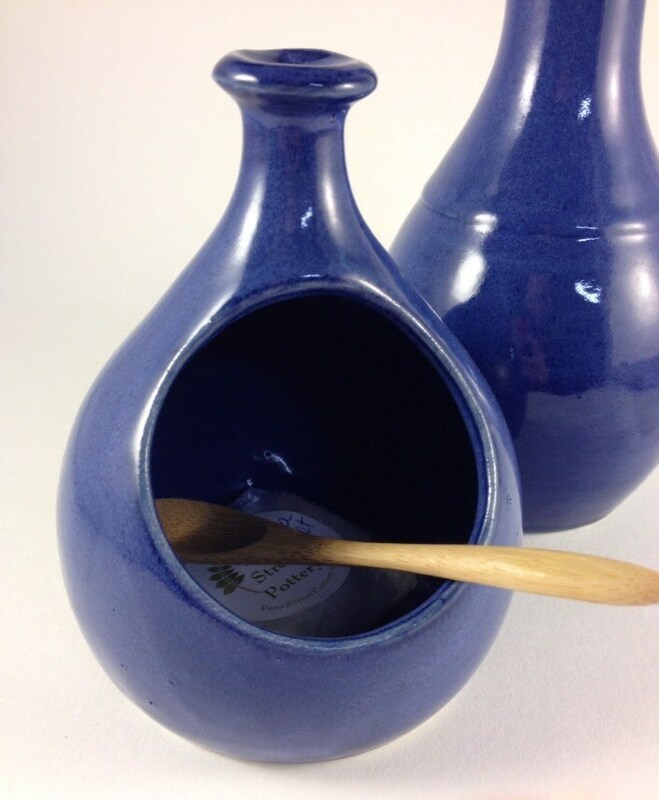 It comes with a 5.5 inch bamboo spoon and a starter packet of sea salt, so you are ready to go! 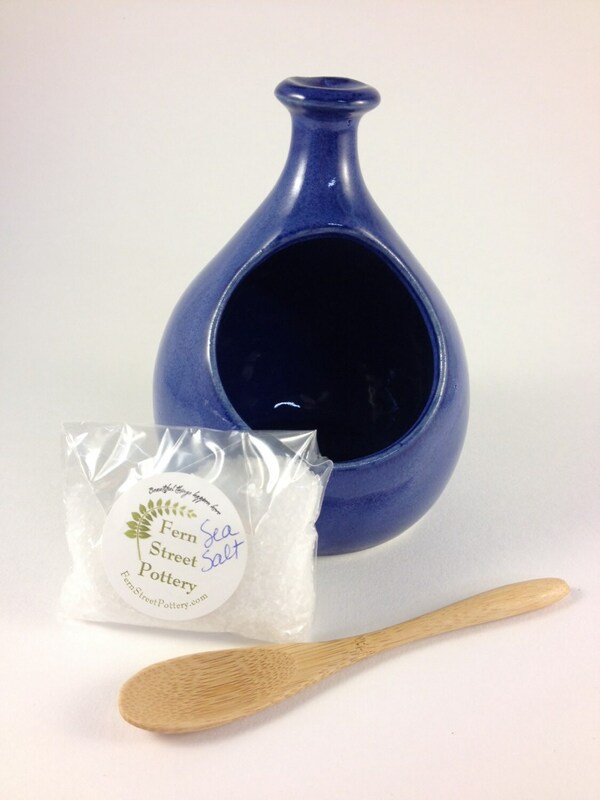 This ergonomic design allows you to pick up the salt pot from the top, or simply grab a spoonful or a pinch. 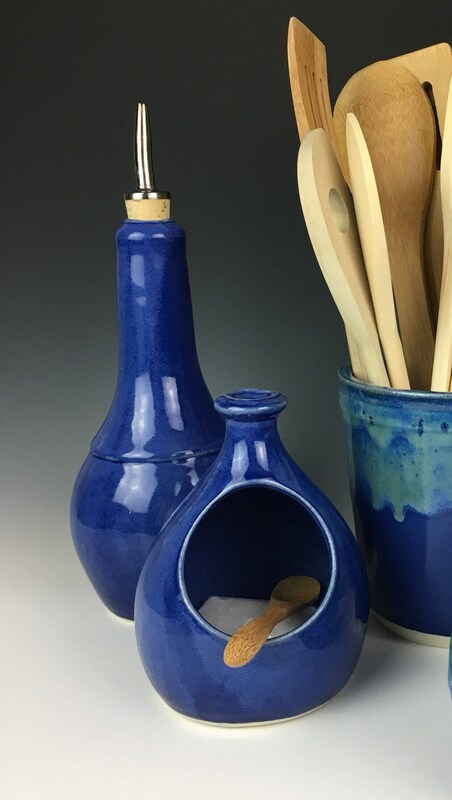 Great item as a gift for a friend or yourself. 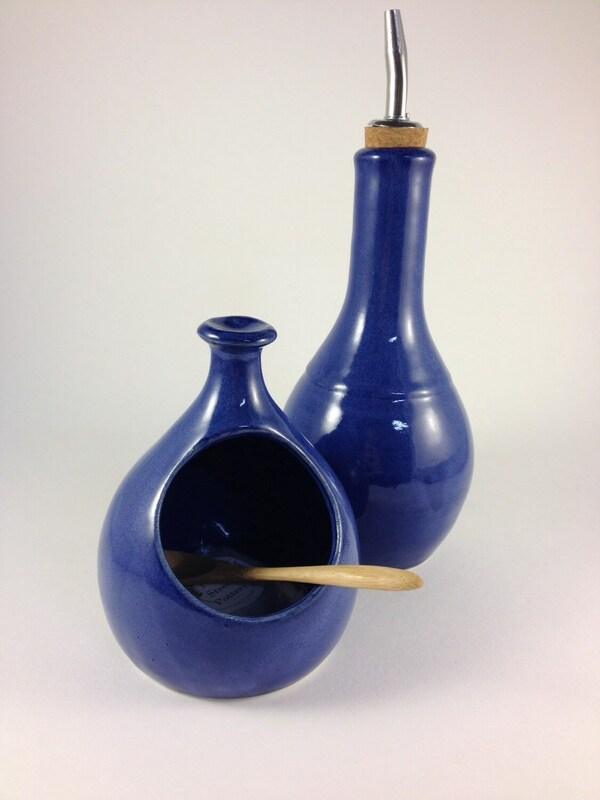 Be sure to view the matching olive oil cruet for a great set! 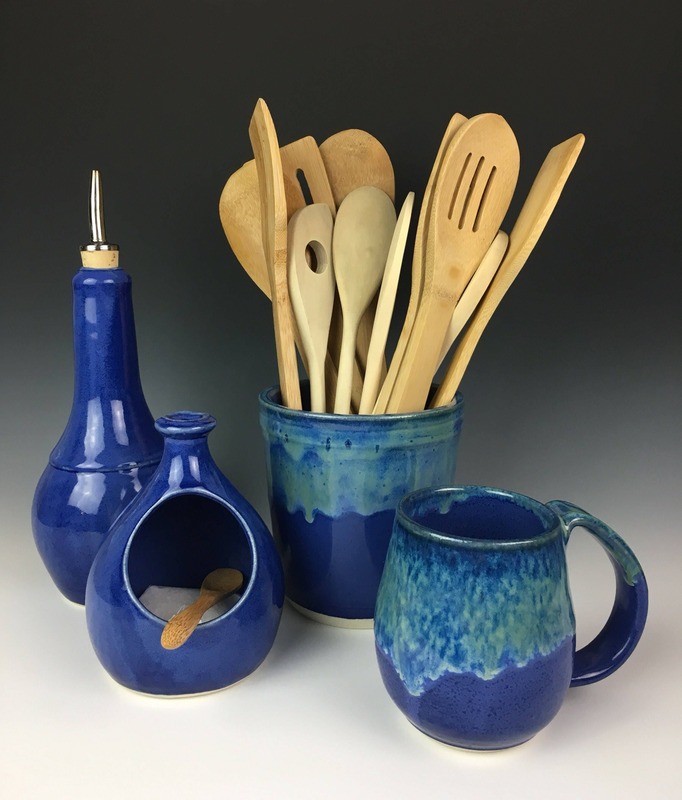 All my glazes are lead-free and food-safe! Also called a salt pig or a salt well.